Jen Caizza is a licensed insurance agent at Hall & Company, a brokerage firm that has specialized in the placement of professional liability insurance for design firms and consultants for more than 25 years. Jen joined the Hall & Company team in October 2008. Previously she served as a Customer Service Representative for Dade County Farm Bureau. She became fluent in account management and has developed a strong rapport with many of her clients. Jen continues to maintain those relationships and also enjoys the process of working with new clients to help them develop a thoughtful and affordable insurance program to fit their firms’ needs. 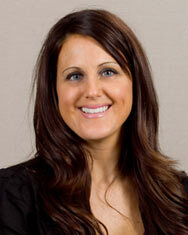 In 2011 Jen was recognized as one of Hall & Company’s top sales people for a sales initiative based on client referrals. She understands the business of a design professional and she is confident that she can provide exemplary customer service. Jen’s aim is to be the preferred insurance broker for your firm by improving your insurance coverage, service and pricing. “Jen, You have come through for me with this policy again and again. And I do appreciate your help always.” Jamie Reichler, Reichler Engineering Inc.
Harry Harris, William Henry Harris & Associates, Inc.
Patrick Collins, Select Surveying, Inc.